Remember the wearing denim with denim look in the 80’s? Well it’s back. Here are some tips on how to wear in a modern, more contemporary way. 1. Don’t be afraid to mix your colours or denim. In fact, it’s better to. It’s very hard to match shades of denim, so don’t even try. Wear dark with light. It’s a handy way of drawing attention away from the parts you don’t like and to the parts you do. For example, wear dark jeans on the bottom and light denim on the top. 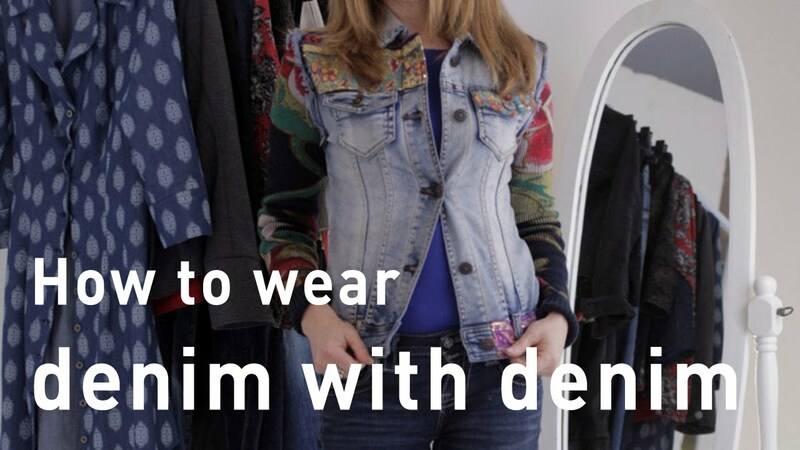 Better yet, wear denim with embellishment or detail on the top to draw the eye there. 2. You can even mix textured or patterned denim, but then keep the rest of your look fairly plain.